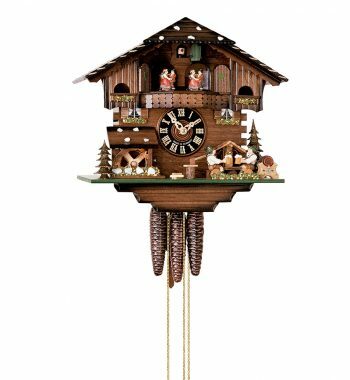 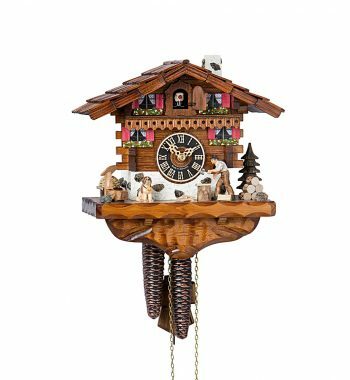 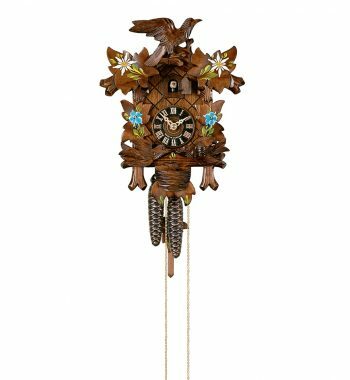 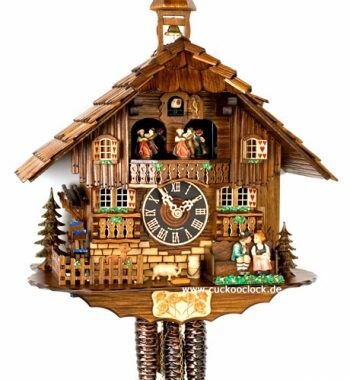 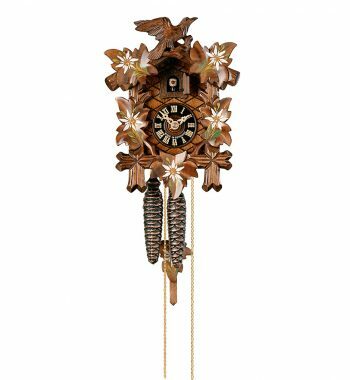 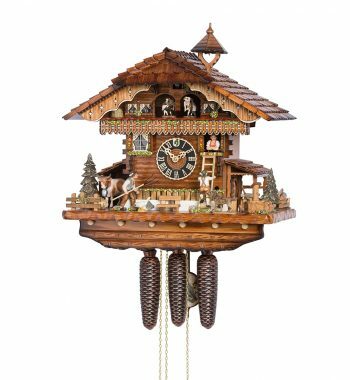 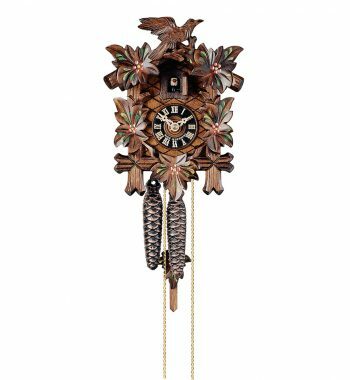 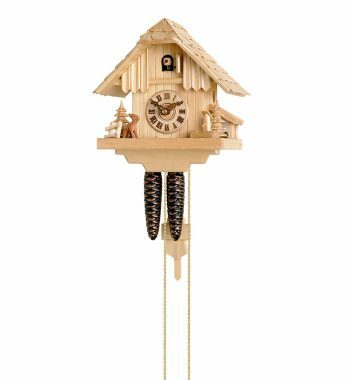 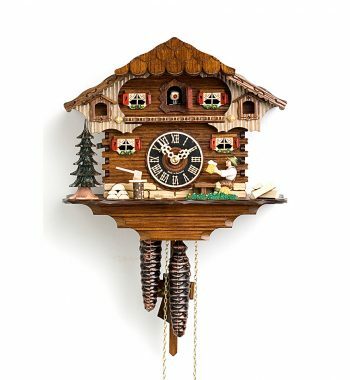 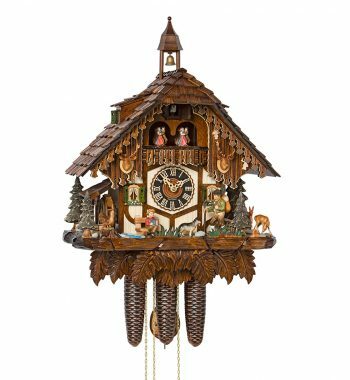 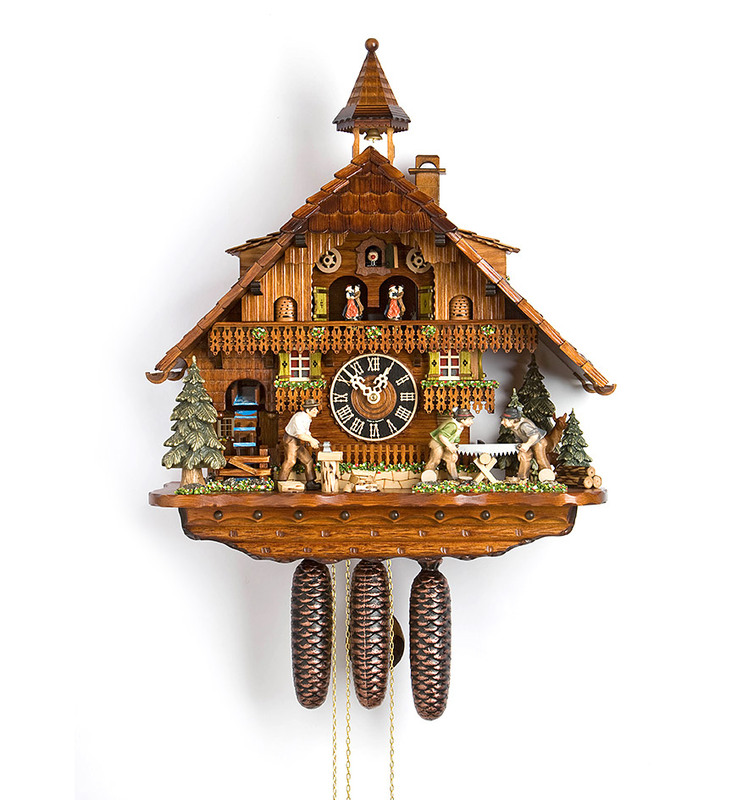 Cuckoo clock with moving wood-sawyers. 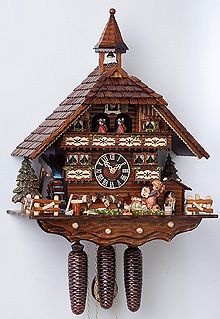 The waterwheel turns while the music plays. 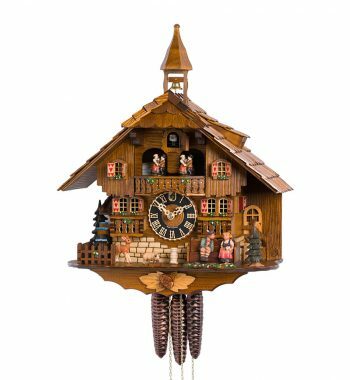 Notice: Our price includes insured shipping worldwide.